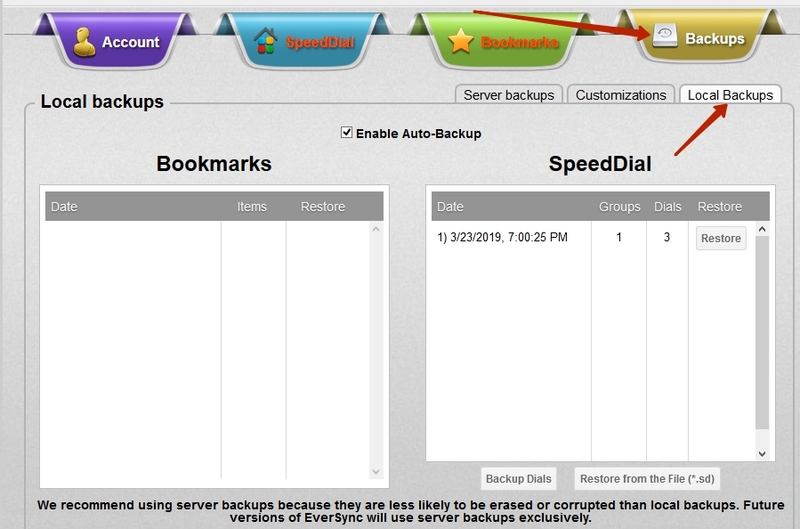 If you want to keep a backup copy of your FVD Speed Dial on your hard drive, just follow these simple steps below! 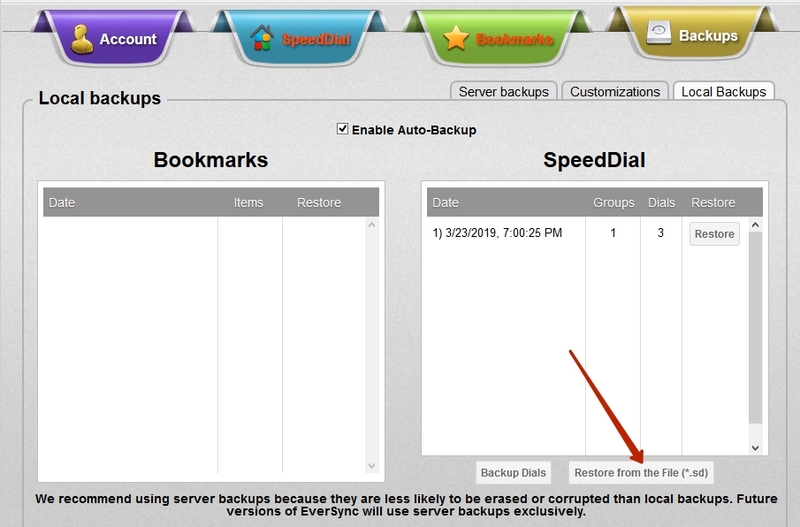 Open the Sync - Backups - Local backups menu. 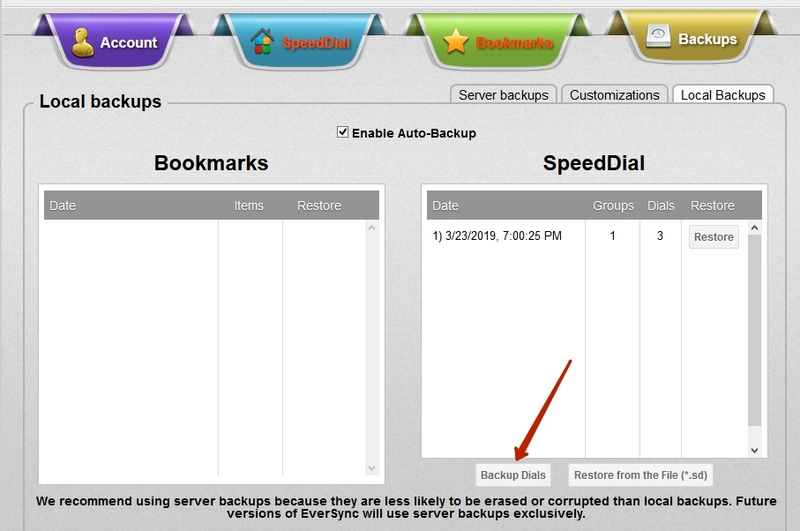 If you want to save a backup copy of your dial, click Backup dials - Export in file. Restoring the dials and groups from the backup file is even simpler! If you are using Firefox, simply click Restore from the File (*.sd).